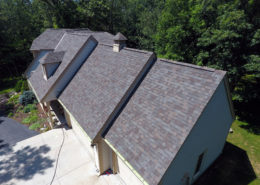 Elite Improvements specializes in both residential and commercial roofing services. From installing brand new roofs to repairing damage caused by storms or regular wear, we have your covered (literally). When you’re building a home, start off on the right foot; have a roof installed that will protect your investment and look great too. Our roofing contractors are trained installers of Marlarkey Roofing Products – SBS Modified Asphalt Shingles designed to last long term. 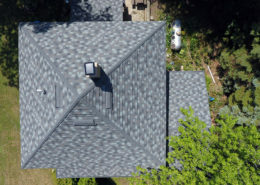 Capable of withstanding harsh weather, these shingles can also help you get a discounted rate on your homeowners insurance. Looking for a unique roof with little to no maintenance requirements? Metal roof installation may be the right service for you. Metal roofs are beautiful, durable, and last a lifetime. 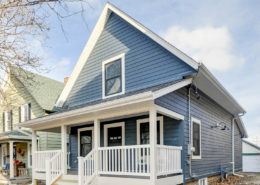 The design possibilities are endless too because metal roofs are available in numerous colors and themes. Contact Elite Improvements to discuss your residential roofing options! 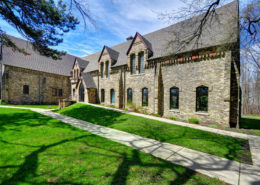 The Midwest season changes can take a toll on your roof – it is advised to always inspect your roof and keep up with maintenance to avoid more costly damage in the future. Your roof should provide ultimate protection, lower your energy costs, and add value to your home. If your roof is having issues with any of the following or is aged over 8 years – we recommend inspection minimally. 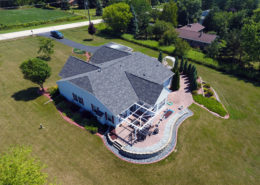 Elite Improvements is the premier choice for roof replacement in SE Wisconsin. Is your roof beyond repair; maybe it’s just old and your homes ready for a fresh, modern look. Our roofing contractors will help you find the best roofing solution that best suits the needs of your house. We are happy to answer any questions you have so don’t wait to get a quote – call Elite Improvements today! Do you have an upcoming remodeling project you need a quote for?